I finished the last of light edits on His Small Town Princess, the third book in my Sweetwater Springs series. J.T. 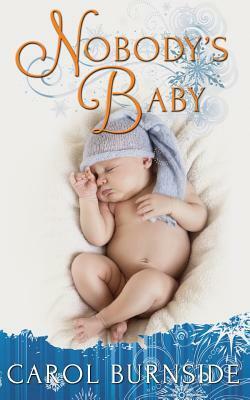 and Cass’s story turned out to be a lovely end to the trio of Baxter sibling romances. If you’re looking for more info, SEPT. 16TH is RELEASE DAY, but it’s available for pre-order NOW! It’s easy, quick and painless, but helps me spread the word on book launch day. Just click on the link and agree to share my news on your social media outlets one time – on my book launch date 9/16/16. For all of you who do – THANK YOU, I really appreciate it! My friends and readers are the best!!! This time of year in the southern U.S., weather is a mixed bag. We could get cool and rainy, warm with tornado and severe thunderstorms, or we could skip springlike temps and go straight to summer hot. This year we’ve gotten all of the above. One day it’s cool and rainy, then a severe thunderstorm moves through leaving higher temps and humidity. Luckily, we got several days of really warm Spring temps and sunshine, so I was able to plant flowers, herbs and tomatoes to my heart’s content. Three days, seven in-ground plants and some 32 pots later, I was able to clear the potting soil and tools away. Perhaps it was my current WIP that put me in such a gardening mood. In His Small Town Princess (Book 3 of the Sweetwater Springs series), Cass opens a new business. Bing Gardens has three large greenhouses because she does things in a big way. No halfway measures when it comes to love either. Cass jumps into a relationship with a single dad (widower) before she realizes the impact her presence will have on their family dynamic. Save Your Readers 50% Off On KWL Titles–On Us! If you’re a Kobo reader, this is the perfect sale for you! Save tons by using the promo code JAN1650. Enjoy e-books at 50% off!!! See details below. Attention all Kobo Writing Life Authors! The first month of 2016 is almost over, and what better way to celebrate than with a 50% off sale–fully supported by Kobo? This special sale will start today (Jan. 28th) and ends on Sunday, January 31st and will be valid in Canada, United States, Australia, New Zealand, and the United Kingdom. Customers will be able to redeem 50% off of any title published by KWL using the promo code JAN1650 an unlimited number of times starting today—so please, let your readers and fans know about this incredible opportunity to stack up on eBooks while they can! See below the cut for the full rules & regulations of this sale. And as a reminder, this sale starts on Thursday, January 28th and runs until Sunday, January 31st and will not affect your royalties–this promotion is being fully supported by Kobo. Our gifts to you. Click here. 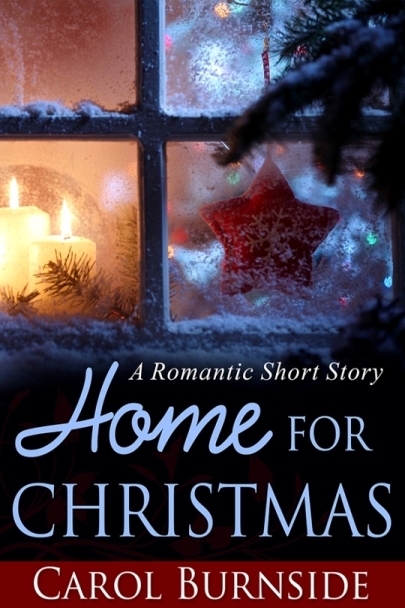 I’ve got a freebie for all of you who like romantic short stories or Christmas romance. But first, in the spirit of complete disclosure: This is a SHORT STORY. The file also contains sample chapters of some of my other works so you can get a good idea of my writing voice. It’s a perfect coffee break read for any time. Get your (free!) copy now and tell all your friends to get theirs, too. 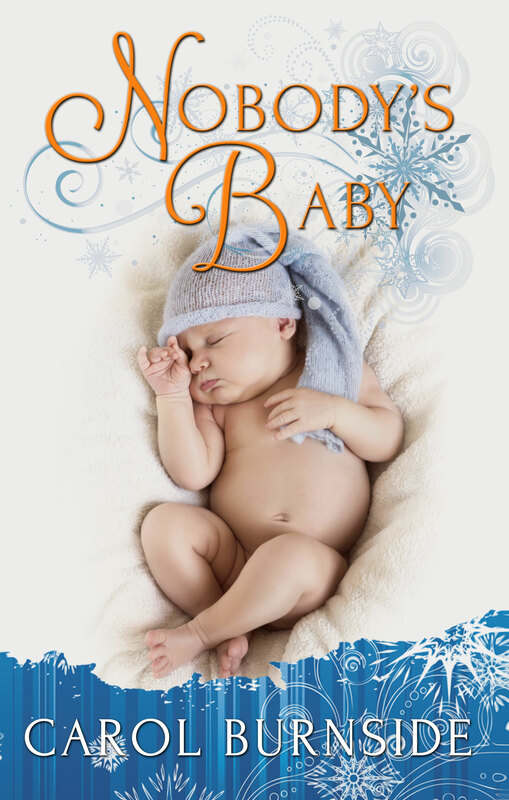 Currently #61 in the Amazon Top 100 Free (Holidays). Will you help me push it up the charts? Join me – Let’s Party! It’s a party for readers!!! Blog Posts by tons of authors. Learn more about the authors, the stories behind the stories, the inspirations, the ideas. See the pretty covers, read the excerpts. Shop. Enjoy! Enter to win tons of PRIZES and a BIG GRAND PRIZE. So, click the TRS banner above and I’ll see ya there, yeah? Hubby and I are gardening again this year. 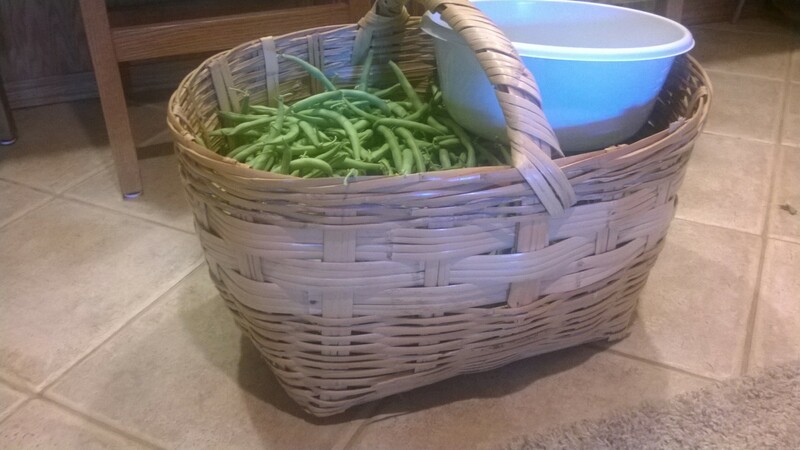 Our first harvest this year was green beans. 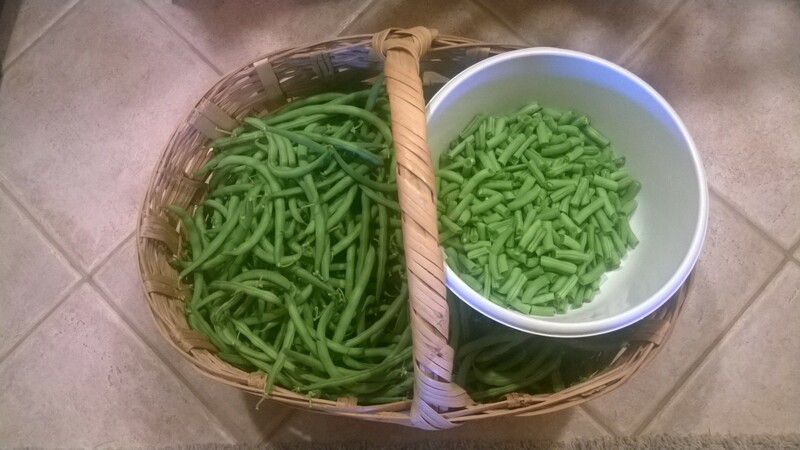 Lots of green beans. ( Those are 12″ tiles for basket size reference.) I processed them Monday for over four hours, but will they ever taste good this winter! 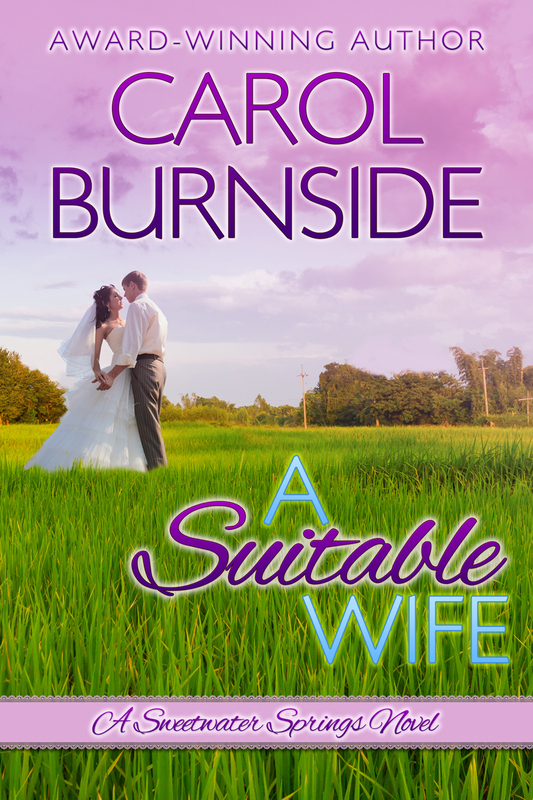 Join me on Linda Carroll-Bradd’s blog today for a great excerpt and interview regarding A Suitable Wife, the first book in my Sweetwater Springs series. But that’s not all! I’m giving away an e-copy to a lucky commenter, too. 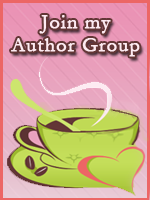 Come on over to http://blog.lindacarroll-bradd.com/?p=407 and join in the conversation. Update: Mary Preston is the winner!